***NEW TIRES*** THIS VEHICLE IS LOCATED AT BIRMINGHAM LUXURY MOTORS *SOUTHSIDE* 3501 4TH AVENUE SOUTH BIRMINGHAM, AL 35222 Eye-catching pitch black, our 2016 Dodge Challenger SXT Coupe stands out from the crowd with muscular style, performance, comfort, and efficiency! Powered by a 3.6 Liter V6 that offers 305hp while connected to a TorqueFlite 8 Speed Automatic transmission to reward you with a brilliant drive. This Rear Wheel Drive means business and offers near 30mpg on the open road! Take a moment to admire our photos and you'll see the great-looking satin carbon aluminum wheels, distinct grille, and projector headlamps. Slide into SXT premium cloth sport seats with power adjustments and grip the leather-wrapped steering wheel with audio controls. You'll appreciate the versatility of a 60/40 split rear folding seat and the convenience of power windows with one-touch functionality. This classic powerhouse will certainly make you smile the second you get behind the wheel! Stay modernized with high-tech features such as Bluetooth connectivity, an auxiliary input jack, and a push-button ignition. Our Dodge Challenger has been carefully built with quality materials as well as safety features such as multi-stage airbags and stability control to keep you out of harm's way. Reward yourself with this iconic machine today! Print this page and call us Now... We Know You Will Enjoy Your Test Drive Towards Ownership! 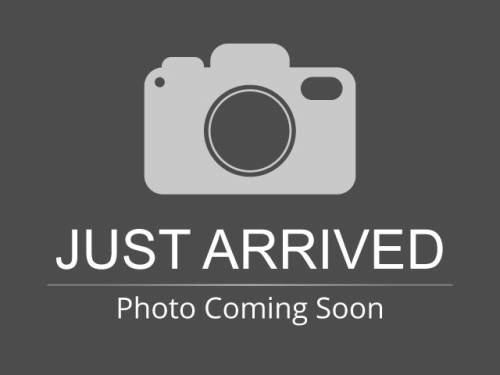 THIS VEHICLE IS LOCATED AT BIRMINGHAM LUXURY MOTORS *SOUTHSIDE* 3501 4TH AVENUE SOUTH BIRMINGHAM, AL 35222 Exuding confidence, technology, and attention to detail, our 2016 Dodge Dart SE Sedan is sleek and sporty in Crimson Red! Powered by a Tigershark 2.0 Liter 4 Cylinder that offers 160hp while paired with a fun-to-drive 6 Speed Automatic transmission. Enjoy precise steering, steady handling and near 36mpg on the open road with this Front Wheel Drive! Admire the athletic stance and sporty contours of our Dodge Dart. The SE cabin offers ample head and legroom with comfortable seats and keeps you comfortable with power windows, cloth seating, and a great sound system with CD, MP3, and auxiliary audio jack. Drive with peace of mind knowing Dodge supplies anti-lock disc brakes, traction and stability control, front and rear side airbags, side curtain airbags and front knee airbags are included to keep you and your precious passengers safe from harm. An outstanding blend of efficiency, style, and performance, our Dart is certainly the intelligent choice! Print this page and call us Now... We Know You Will Enjoy Your Test Drive Towards Ownership! THIS VEHICLE IS LOCATED AT BIRMINGHAM LUXURY MOTORS *SOUTHSIDE* 3501 4TH AVENUE SOUTH BIRMINGHAM, AL 35222 Offering premium good looks and performance to match, our 2018 Ford Mustang EcoBoost Fastback Coupe is irresistible in White Platinum! Fasten your seat belt and feel the TurboCharged 2.3 Liter EcoBoost 4 Cylinder as it offers up 310hp connected to an innovative 10 Speed Automatic transmission. Our Rear Wheel Drive Mustang is amazingly agile and delivers a crisp and responsive driving experience along with near 30mpg on the highway. Check out the timeless good looks of our EcoBoost Fastback with its iconic curves that ignite a sense of adventure. Take note of the beautiful alloy wheels, LED fog lights, and HID headlamps with signature lighting. Open the door and settle into the low, sporty driver's seat. You'll enjoy a wealth of thoughtful features including Selectable-Effort electric power-assist steering, a 50/50 split folding rear seat, aluminum-trimmed dashboard, chrome-accented 4-gauge instrument cluster, Intelligent Access with push-button start and even Track Apps performance telemetry! Maintain a seamless connection thanks to the Sync voice-controlled interface with a central screen, Bluetooth, and an impressive sound system with a CD player and dual USB ports. Not only does our Mustang treat you to exceptional driving pleasure, but it also provides priceless peace of mind. You'll be well-equipped with a rearview camera, advanced airbags, a tire pressure monitoring system, and MyKey parental controls. It's time to reward yourself with driving fun that is synonymous with the galloping pony! Print this page and call us Now... We Know You Will Enjoy Your Test Drive Towards Ownership! THIS VEHICLE IS LOCATED AT BIRMINGHAM LUXURY MOTORS *SOUTHSIDE* 3501 4TH AVENUE SOUTH BIRMINGHAM, AL 35222 Our 2016 Honda Accord LX-S Coupe in Crystal Black Pearl continues to be synonymous with quality, reliability, efficiency and comfort! The 2.4 Liter 4 Cylinder provides you with 185hp on demand while matched with a responsive and quick CVT for easy passing. Our Front Wheel Drive coupe delivers smooth power, great handling, and nearly 35mpg on the open road. Sleek and modern with a fresh new look, our Accord Coupe LX-S exudes confidence with 17-inch alloy wheels, LED tail lights, and an over-all athletic stance that is sure to impress! Open the door of our LX-S to find a haven of comfort and quality with dual-zone automatic climate control, full power accessories, a prominent high-resolution multi-information screen, Bluetooth, SMS text message function, a 6 speaker sound system with Pandora compatibility and illuminated steering wheel-mounted cruise, audio, phone and i-MID controls. Honda has a sterling reputation for safety with its multitude of innovative features that help you avoid and manage challenging driving situations. Advanced compatibility engineering, anti-lock disc brakes, stability and traction control, active front head restraints, front-seat side airbags/side curtain airbags and a rearview camera work together to keep you and your precious cargo out of harm's way. Discerning drivers just like you agree that our 2016 Honda Accord Coupe is once again the intelligent choice! Print this page and call us Now... We Know You Will Enjoy Your Test Drive Towards Ownership! 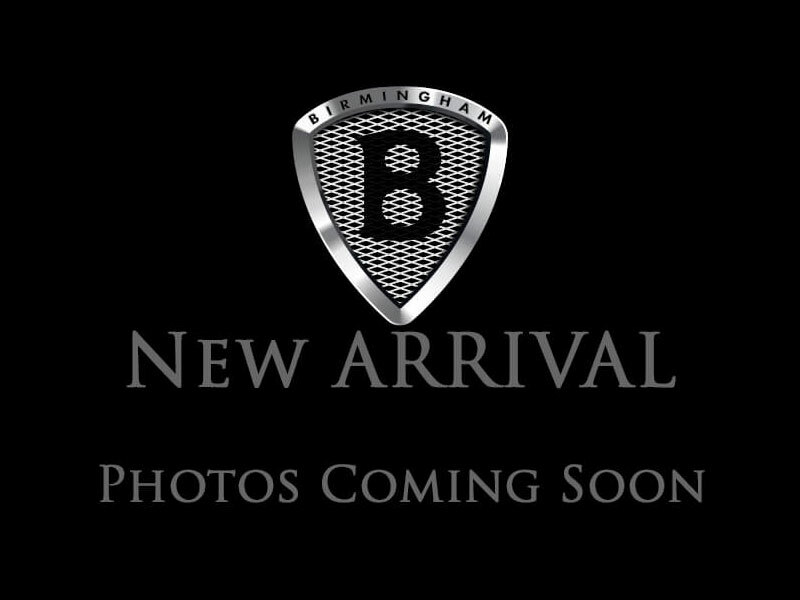 THIS VEHICLE IS LOCATED AT BIRMINGHAM LUXURY MOTORS *SOUTHSIDE* 3501 4TH AVENUE SOUTH BIRMINGHAM, AL 35222 Our 2014 Honda Accord Coupe LX-S shown in magnificent Modern Steel Metallic boasts a legendary reputation for superior reliability, fuel economy and performance. Under this sleek hood sits a 2.4 Liter 4 Cylinder that offers 185hp on demand while connected to a seamless CVT. This combination is very efficient and scores near 32mpg on the open road. With its excellent suspension, responsive engine and dependable braking, you will certainly look for reasons to take the long way home! Sleek character lines coupled with swept headlamps and a bold grille make our unique Coupe LX-S especially attractive. A central display communicates with the car's technology, allowing you to customize your driving experience. You'll appreciate Bluetooth phone and audio connectivity and a sound system with CD, iPod interface and Pandora functionality. Control is literally at your fingertips with steering wheel-mounted audio, phone, and cruise controls. This Accord has plenty of airbags, anti-lock brakes, and responsive steering to keep you confidently out of harm's way. Reward yourself with the peace of mind only provided by Honda! Print this page and call us Now... We Know You Will Enjoy Your Test Drive Towards Ownership! THIS VEHICLE IS LOCATED AT BIRMINGHAM LUXURY MOTORS *SOUTHSIDE* 3501 4TH AVENUE SOUTH BIRMINGHAM, AL 35222 Our 2016 Honda Accord LX-S Coupe in Lunar Silver Metallic continues to be synonymous with quality, reliability, efficiency and comfort! The 2.4 Liter 4 Cylinder provides you with 185hp on demand while matched with a responsive and quick CVT for easy passing. Our Front Wheel Drive coupe delivers smooth power, great handling, and nearly 35mpg on the open road. Sleek and modern with a fresh new look, our Accord Coupe LX-S exudes confidence with 17-inch alloy wheels, LED tail lights, and an over-all athletic stance that is sure to impress! Open the door of our LX-S to find a haven of comfort and quality with dual-zone automatic climate control, full power accessories, a prominent high-resolution multi-information screen, Bluetooth, SMS text message function, a 6 speaker sound system with Pandora compatibility and illuminated steering wheel-mounted cruise, audio, phone and i-MID controls. Honda has a sterling reputation for safety with its multitude of innovative features that help you avoid and manage challenging driving situations. Advanced compatibility engineering, anti-lock disc brakes, stability and traction control, active front head restraints, front-seat side airbags/side curtain airbags and a rearview camera work together to keep you and your precious cargo out of harm's way. Discerning drivers just like you agree that our 2016 Honda Accord Coupe is once again the intelligent choice! Print this page and call us Now... We Know You Will Enjoy Your Test Drive Towards Ownership! THIS VEHICLE IS LOCATED AT BIRMINGHAM LUXURY MOTORS *SOUTHSIDE* 3501 4TH AVENUE SOUTH BIRMINGHAM, AL 35222 Our 2014 Honda Accord LX Sedan shown in beautiful Alabaster Silver Metallic is synonymous with reliability, comfort and performance. The 2.4 Liter 4 Cylinder produces a solid and responsive 185hp on demand while paired with an innovative CVT. Our Front Wheel Drive sedan rewards you with near 36mpg on the open road and has responsive acceleration not found in other brands in its class and continues to be the gold standard in form meeting function. Angular side sculpting and a bold grille give our LX a sporty, yet sophisticated flair. Take a look inside our LX and notice the comfortable, well-appointed interior offers ample passenger space and a multi-functional 8-inch display communicates with the car's technology to be your official command center and to provide you with a personalized driving experience at your fingertips with steering wheel-mounted controls. You'll appreciate dual-zone automatic climate control, a rearview camera and a sound system with iPod/USB integration and Pandora functionality. Thanks to Honda and their advanced compatibility engineering body structure, numerous airbags, and responsive braking, you can have the peace of mind knowing your precious cargo will be kept out of harm's way in this solid sedan. The quality engineering behind the Accord makes it the obvious choice. Print this page and call us Now... We Know You Will Enjoy Your Test Drive Towards Ownership! I would like test drive the 2017 Dodge Challenger, stock# 592537. I would like test drive the 2016 Dodge Challenger, stock# 200993. I would like test drive the 2016 Dodge Dart, stock# 585141. I would like test drive the 2011 Ford Edge, stock# B06334. I would like test drive the 2012 Ford Focus, stock# 106684. I would like test drive the 2018 Ford Mustang, stock# 118844. I would like test drive the 2016 Honda Accord Coupe, stock# 008794. I would like test drive the 2014 Honda Accord Cpe, stock# 003309. I would like test drive the 2016 Honda Accord Coupe, stock# 002076. I would like test drive the 2014 Honda Accord Sdn, stock# 231381.